The best kinds of passions are those which offer a wide scope in which to find enjoyment and fulfilment. Writers have prose, poetry, screenplays. Artists can spray graffiti, design t-shirts, tattoo people’s skin. And cyclists? Well, we have our bikes. Depending on the type of person you are and what kind of life you lead, you’ll need a bike which was designed with your style of riding in mind. 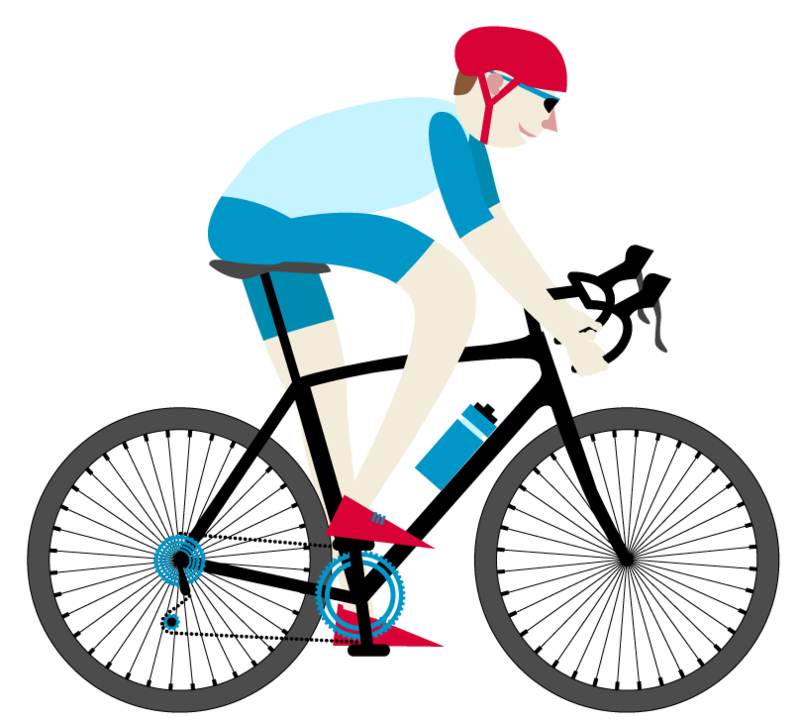 Let’s review the 8 most common types of bike, and the context for which they’re best suited. In all likeliness, you’ll find that at least one of these bikes will fit your needs - whether you’re an urban city cyclist or more of a dirt trail, downhill kind of rider. We’ll start off with an undeniable thin wheeled classic. No points for guessing the terrain which this bike is used on, or why it’s so popular among city dwellers looking to beat the tedious traffic. Built to roll across smooth tarmac and similar flat-surfaced ground, the road bike’s biggest virtue is the speed it can generate across such terrain, as well as its long-distance capabilities. The road bike is a direct descendant of the racing bike - the kind you’re likely to see ridden by the pros who spend their lives competing. So, when you consider this, it makes sense that this kind of bicycle eventually found its way onto city roads. A recognisable trait of the road bike is how skinny the tires usually are, and how little tread the rubber will have. This is because road surfaces don’t typically require robust tires with a lot of grip for the bike to roll smoothly, so less material is used. What you get are tires that will work together with the asphalt, and that are lighter and more aerodynamic. Together with the tires, these sorts of bike commonly come with dropped handlebars. This completes the distinctive look of the road bike, and also offers a wide range of hand positions for longer cruising. Now we’ve established what makes a road bike unique, the question is - should you consider one? Whilst you can, of course, use any kind of bike on an urban road, the road bike is specifically optimised for getting you through the city as fast and efficiently as possible. 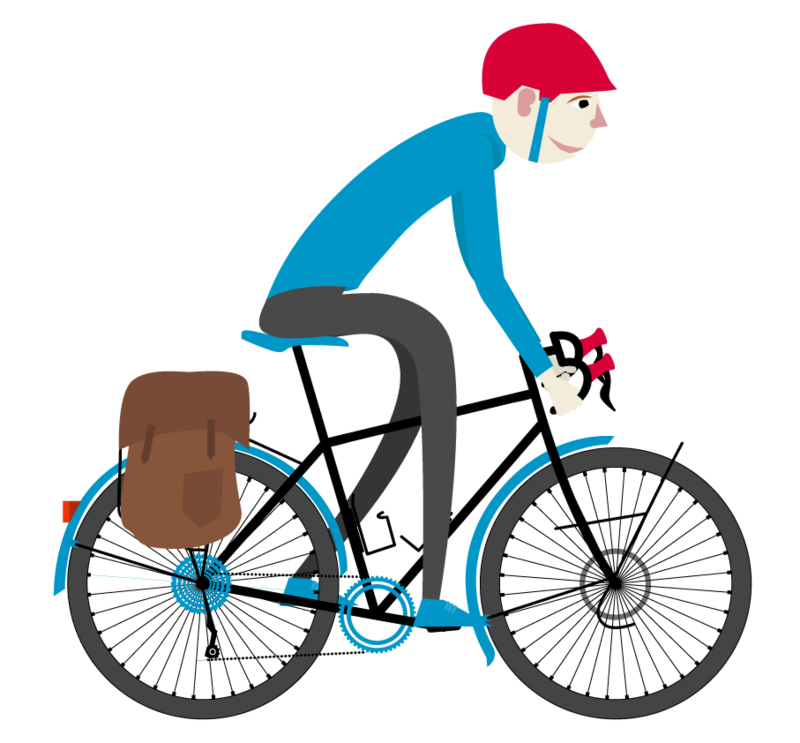 So if you’re looking to save money on petrol (or even forgo getting your license all together), get a morning dose of energy from your commute to work, or just cruise around your neighborhood, the road bike will serve you well. Something important to mention here is that each kind of bike has some degree of culture attached to it - and none more so than the mountain bike. It’s amazing how varied cycling can be. A road cyclist will have much in common with a mountain biker, but their cycling habits will be vastly different. Mountain bikes are born to undergo stress, traverse rough terrain, and generally cater to bikers looking for a more adrenaline-fuelled experience. In contrast to the road bike, mountain bikes have wide tires with a lot of tread. The traction that this provides makes them ideal for rolling over dirt, rock, sand, and any other rugged terrain which nature has designed. The handlebars are usually flat, to help maintain the best posture to tackle those bumpy rides, sketchy turns and unexpected obstacles. Also, the frame will be crafted so it is highly durable and robust, giving the bike longevity and giving the rider peace of mind that everything will hold together. You’ll find that mountain bikes come fitted with a range of gears too, which you can switch between depending on the type of trail you’re riding on. A decent mountain bike can be slightly pricey - so be sure that you’re aware that it’s an investment. You’ll get out what you put in, so if you’re not going to be doing a whole lot of off-road cycling, then you may want to look elsewhere. But, if the dirt trails, steep mountains and rocky terrains call to you, and you don’t mind living life on the bumpy side, you’ll be very happy with a mountain bike. Recently, someone asked me if a mountain bike was good for commuting. I thought it was a good question so wrote up my thoughts in this article. No proper discussion on cycling is complete without a bit of controversy. Enter: the fixie. The fixie has become a beloved favourite of hipsters all across the world, who will avidly defend them against many passionate cyclists who are highly skeptical about this bike’s place in the world of cycling. Fixies lack a freewheel, which is the spindly bit on the side of your wheel. What this component ultimately does is allow the rider to coast: utilising the bike’s momentum to carry you forward without the need for pedalling. So, basically, fixed-gear bikes are road bikes which have been stripped down to their core mechanics. This means they also have no brakes - not traditional brakes, anyway. When you need to slow down on a fixie, you push backwards on the pedals, against the momentum. It isn’t hard to imagine where the controversy comes from, then. Many denounce the fixie as reckless, dangerous, even pointless. Those who swear by them them tend to prefer the fact that you have to work a good bit harder - if you stop pedalling, the bike stops moving. Their simple designs have also played a big part in their rise to hipsterdom. Some especially pretentious cyclists may rave about how the fixie provides a more connective, focused riding experience. A lot of fixie-lovers even claim that the fixed bike feels much more like an extension of the cyclist (we mentioned the word pretentious, right?). This one is hard to recommend - mostly due to the inherent danger of how vastly different the braking system works in fixies. In an emergency, when you need to stop as soon as possible, a cyclist’s old instincts may kick in and they may reach for the brakes atop their handle bars - which won’t be there. Slowing yourself through the pedals will take some getting used to, as will the extra effort required due to the lack of coasting. If those things are already a deal breaker, then perhaps a fixie isn’t your thing. Touring bikes were once dismissed as unnecessary within the cycling community - but they’ve since come a long way. The clue’s in the name - tour bikes are perfect for touring. They’re designed to maintain a consistent level of comfort throughout long-distance riding, whilst offering a reliable degree of stability. 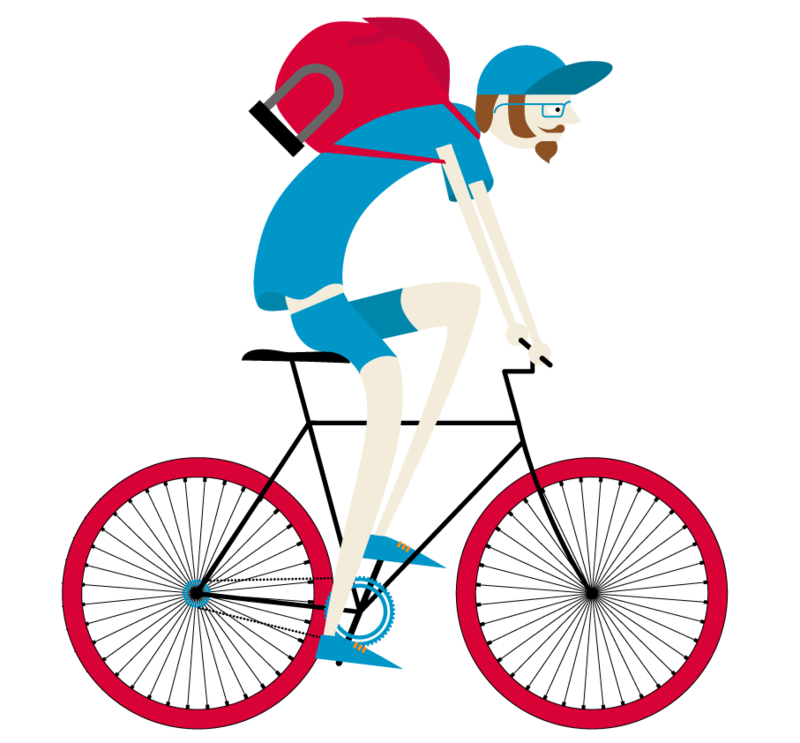 Touring bikes are among the heaviest kinds of bike, with no parts omitted or streamlined. This means that they are incredibly durable, so that you can pack a whole array of gear with you to keep you going on those long camping trips and excursions. Tents, camping equipment, food, water - a tour bike will accommodate everything you need whilst remaining stable. This of course means that speed is greatly sacrificed. Touring bicycles are meant to get you from A to B, all the way to Z, then back again. If you want to get there as fast as possible, then this isn’t the ride for you. Speed isn’t the purpose of this type of bike, though. There’s unspeakable pleasure in a good bicycle tour - and if you’re speeding through it, you’re likely to miss all the amazing sights along the way. However, touring bikes are also highly versatile and can be used in a range of scenarios. Commuting and trips to the shop are absolutely viable on a decent tour bike, due to the space for luggage and bags. If you like to travel heavy, consider a tour bike. If the cycle-touring life has been on your mind lately, a tour bike should be at the top of your list. Someone asked me to compare the difference between touring bikes and road bikes the other day. Being the bike blogger I am I decided to answer as best I could. I’m too good to you guys! You’d have a tough time in finding a more distinctive-looking bicycle than a cruiser bike. 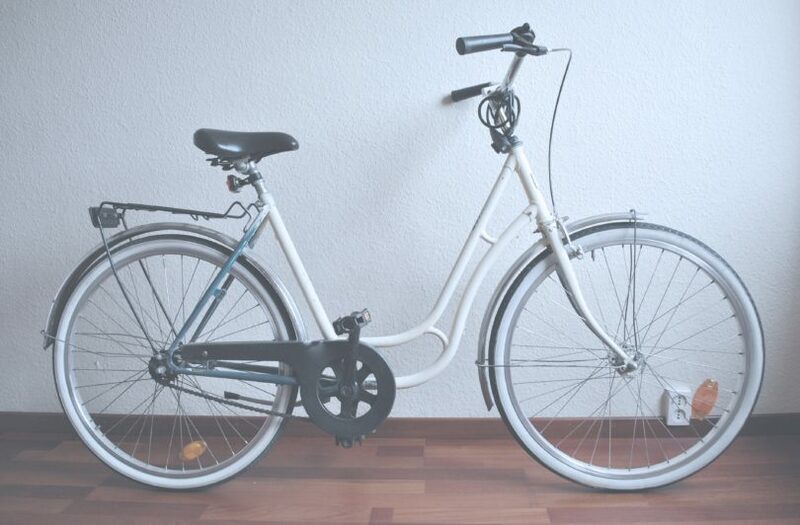 Also referred to as a beach cruiser, this bike is more focused on looking stylish and riding comfortably. The tires typically fitted on a cruiser are known as balloon tires, which are wide and set at a low pressure. Their seats are also wide, to maximise comfort, and place the rider in an upright position which is perfect for casual cycling. Cruisers are also the most highly-customisable types of bike. You’ll seldom see a plain, boring cruiser. They are often styled in different colours, with interchangeable handlebars and usually adorned in various accesories. This kind of bike is great for casual Sunday rides, or just anytime you feel like some casual-yet-stylish pedalling through the park. Another classic, the BMX has been a popular choice for a good while now. The frame and tires are usually markedly smaller than those of other bikes, but the components are often built for strength and stability. This is because BMX’s, as you’ve no doubt seen, are commonly used for tricks and high-speed jumps. 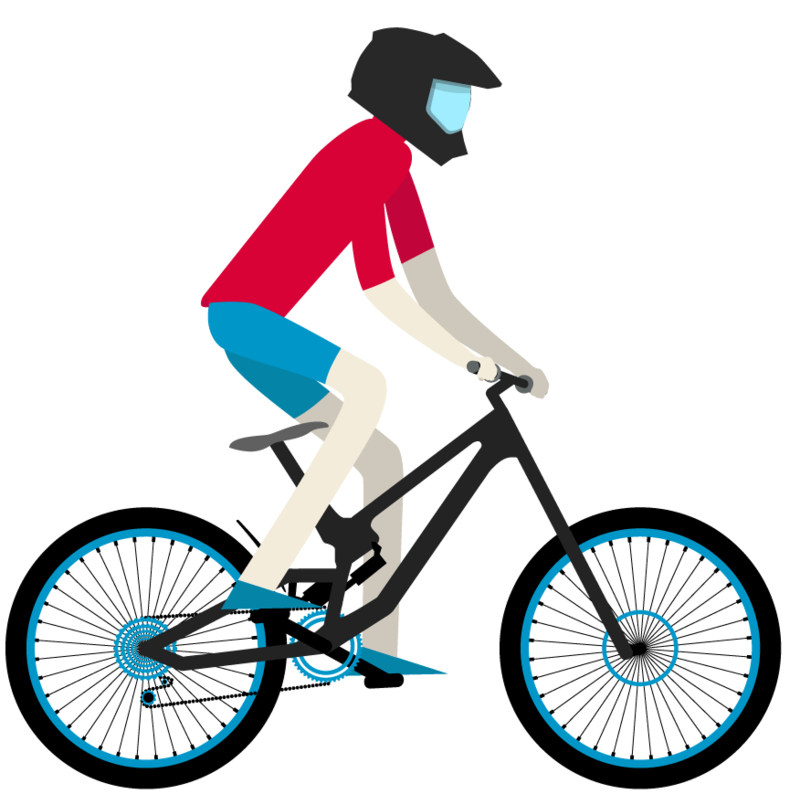 The amount of impact a BMX will take would quickly damage most other types of bicycle - though they are not made for any kind of long-distance riding, or for tackling inclines. 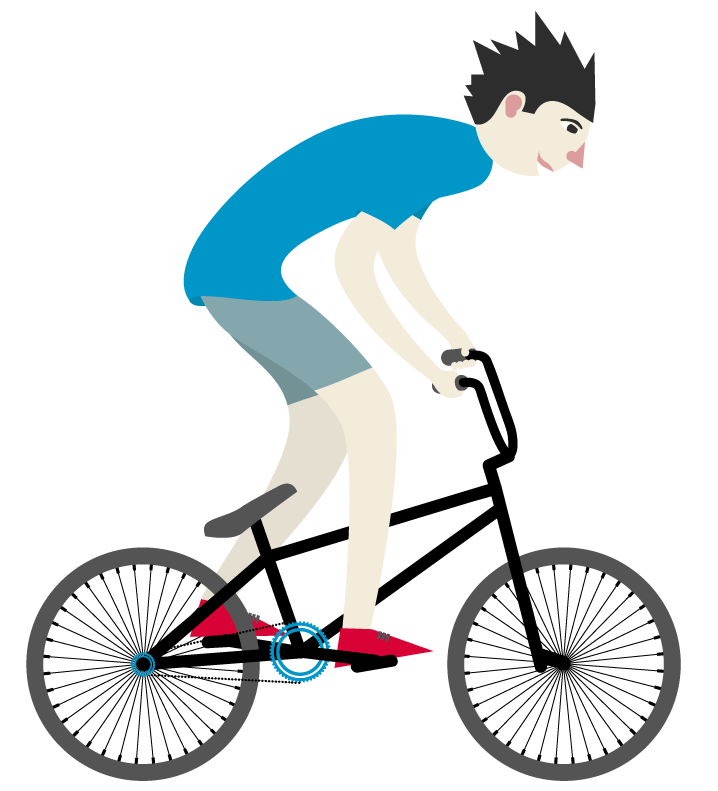 Aside from trick-lovers and stunt-performers, BMX’s are a common choice for kids, due to their smaller size, the strength of their frame, and how cool the BMX riding posture makes you look. If you’re set on a BMX, and aren’t going to be doing crazy off-road tricks, it still won’t be the worst decision you could make - they’re surprisingly versatile. However, for commuting, long-distance riding, and speed cycling, your money will be better spent on something else. A folding bike is a bicycle that - wait for it - folds. Whilst you recover from that mind-blowing revelation, let’s look at why this function is useful. 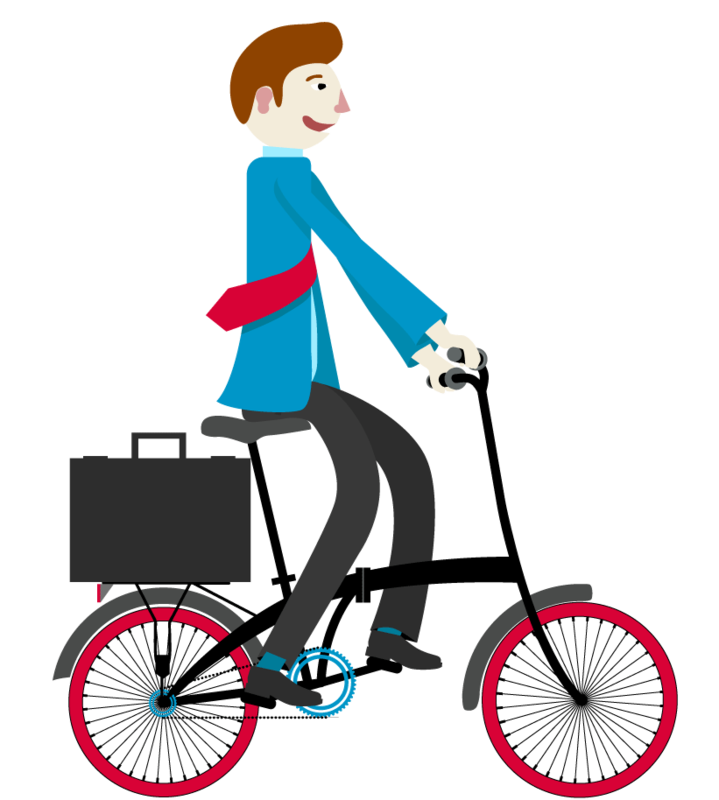 Many folding bikes are distinctive due to their small wheels and long seatpost, which makes it much easier for the folding mechanics to work. Check out my review of Dahon Jifo Uno. However, as folding bikes became more and more accepted within the culture, larger-framed bikes were adapted, to the point where you can now buy full-sized mountain bikes which will fold up. The general rule is, though, that the bigger the bike, the more complicated it is to fold them, so keep this in mind. Folding bikes are perfect for those who like to combine multiple modes of travel. You can ride to the train station, fold up your bicycle and then unfold it once you get off on the other side. Many public city bikes, the kind which are held in those big lockers and which you can rent out for the day, are folding bikes. So consider visiting one of these lockers if you’d like to get a feel for these bikes before you buy one for yourself. We’ll end on what can be the funnest bike experience, if done properly. 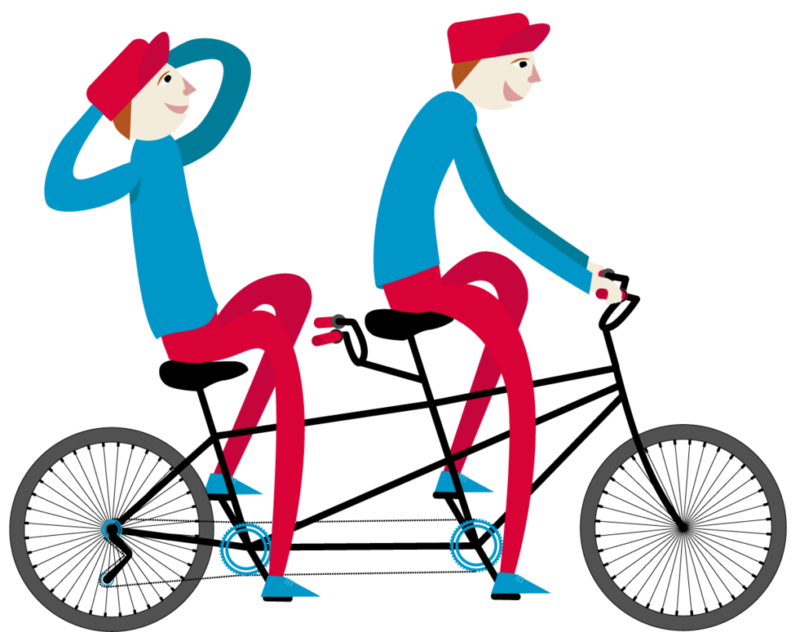 A tandem bike is a bike which accommodates more than one rider. The number of seats is usually just 2, but can be more. The mechanisms of this kind of bike can differ. In some, one person will work the handlebars and one will pedal. 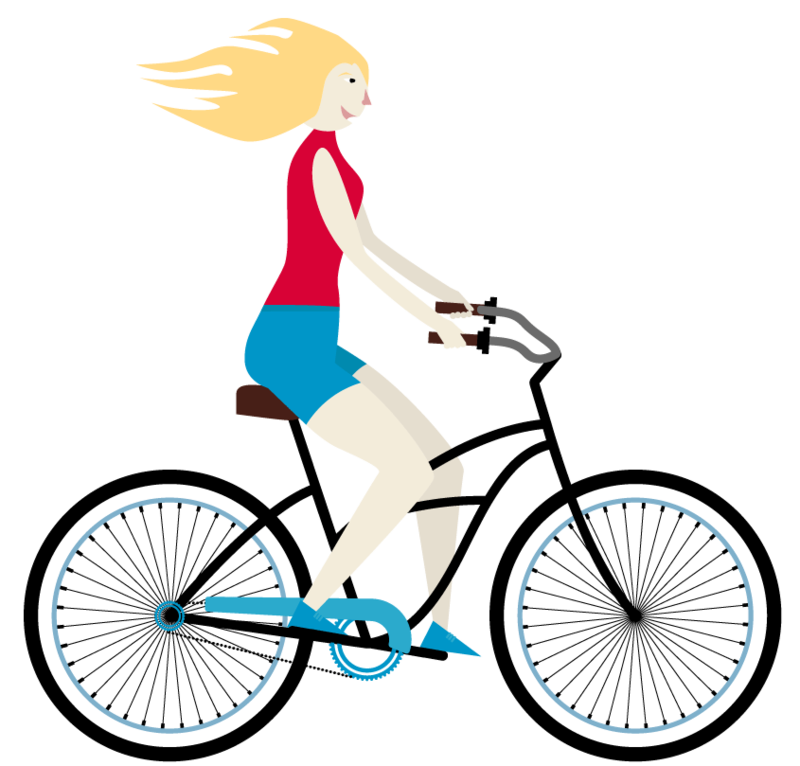 In others, all riders will pedal and work to spin either the front or back wheel. There are also tandem bikes made for parents and their children. Tandem riding is more difficult than you might imagine, and a lot of care must be used so that all riders are working together in harmony. Also, tandem bikes do not work well with sharp turns, due to their length, or bumpy and uneven terrain. With those 8 kinds of bike covered, you might well feel a bit lost. That’s perfectly normal. What’s important is that you focus on your specific needs. Will you be riding long-distance? Will you require a lot of speed? What kind of terrain will you usually be cycling on? Which brand do you like the most? From there, you can safely make your choice and enjoy your new ride. Many cyclists tend to keep multiple kinds of bike for different situations - though we all have our favourite type. ... And if none of those 8 interest you, check out these 7 crazy bikes below! Thks Mike for a great article. I fix bicycles over in Bristol UK (and few other UK locations) at Boingbikes (we’re a mobile bike repair company). While we fix all kinds of cycles and love doing so we have plans to make our own bicycles eventually too. Loved your article so have shared on our social accounts. We often get asked about buying bikes. It’s great to have such a user friendly guide to direct folk to.